Obvious or noticeable brushstrokes ruin any paint job. 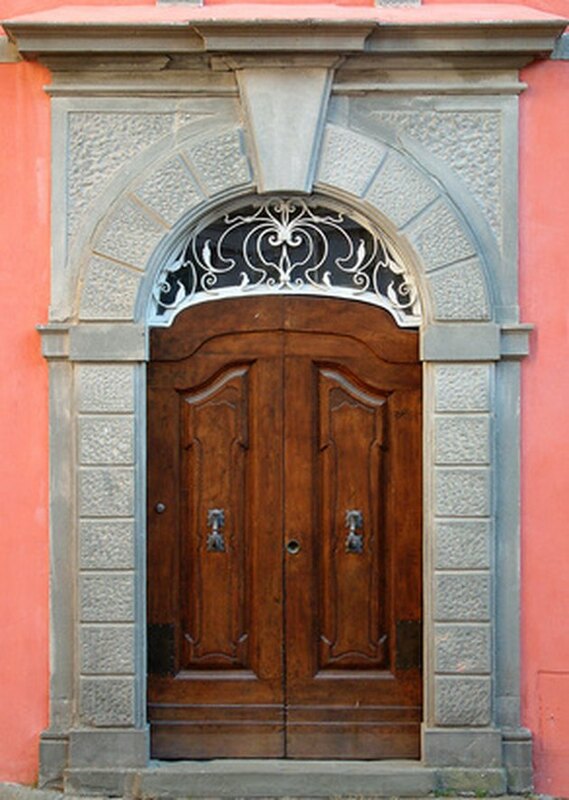 Whether on a door or walls, imperfections cause homeowners and contractors regular headaches. To avoid this situation in the first place use high quality paint and paint supplies including brushes. Author Matthew Schoenherr recommends always using "a flat or low-gloss paint and ... adding a paint thinner to decrease the likelihood of leaving brushstrokes." If you're in the position of correcting a mistake, use the same approach with some added sanding work before you repaint. Make noticeable brushstrokes disappear after sanding and repainting. Wait until the paint with the brushstrokes hardens. Depending on the type of paint, the wait time will be anywhere from ten to thirty days. In rare cases it may take longer. Locate the specific areas that need attention and outline them with painter's tape. Run your fingers along the surface and check for bumps that aren't as obvious. Check the hardness of the paint by applying a light brown (120 grit) sandpaper to the surface. An electric sander makes the job more efficient, but a hand-block sander also works . If the sandpaper produces a fine dust, continue on with the job. Touch the surface of the door or wall and check to make sure the sandpaper is working. If the sanding is done correctly, the spot will feel much smoother. Change to a fresh piece of sandpaper when the piece looks worn or ripped. Continue sanding until the area appears free of brushstrokes or other imperfections. After the surface is smooth once again, clean off dust and shavings from the area. Repaint the section using the same paint from the original job. Remember that fluid, continuous brushstrokes using less paint produce a better-looking finish. Also, try to paint with the grain of the wood on wood surfaces.